The Observatory is reopening Aug. 17. When one of the co-owners of the Observatory announced in mid-July that the music venue and neighborhood bar on the corner of Howard and First in downtown Spokane was closing, people were bummed. One less place for bands to play, for grabbing a delicious whiskey or for meeting up with friends for a quick bite. 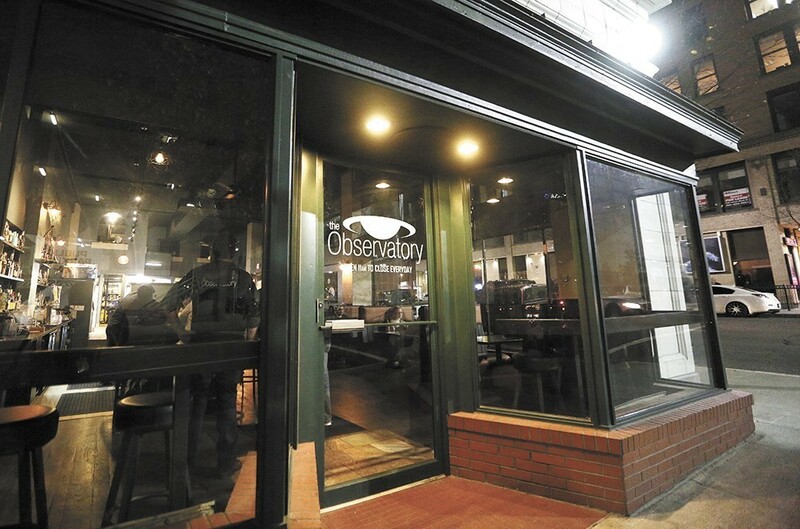 Buoyed by what he called an "overwhelming community response," co-owner Tyson Sicilia is now the sole owner of Observatory 2.0 (OK, it's still just called the Observatory) and is reopening Aug. 17 with a show featuring Indian Goat, Bar Talk, Dead Serious Lovers and Snakes/Sermons. The show starts at 8:30 pm and the cover is $6, but Sicilia says the bar will most likely be opening at 4 pm that day and every day from here on out. The temporary closure was the result of what Sicilia called a "little falling out" with his former business partners, and he expects the Observatory to remain largely the same upon reopening, save for perhaps some seating added to the stage area, a couple screens added to the bar area (but still no sports allowed) and the arrival of Joseph O'Neal, a cook at Ruins, to revamp the food menu. Otherwise, much will be familiar, from Chris Larson running the sound, at anywhere from six to eights shows monthly ("the best sound engineer in town," Sicilia says), to the vibe Sicilia says they've tried to have at the Observatory from its very beginning. "We wanted to be a community bar for everyone," Sicilia says. "We're going to get back to that."